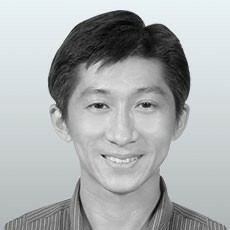 Dr. Darren Leong graduated with a Bachelor of Medicine and Bachelor of Surgery from the National University of Singapore in 2005. He joined Changi Sports Medicine Centre (CSMC) in 2009, and obtained his Masters in Sports Medicine from the University of Bath in 2013. Dr. Darren oversees CSMC’s Weight Management Program, and serves as Secretary in the Singapore Association for the Study of Obesity. In the local sporting scene, he serves as council member in the Singapore Bowling Federation, and doctor for the Singapore Sailing Federation and Special Olympics Singapore. Ever eager to serve as Singapore’s team doctor, Darren was the Chief Medical Officer for Team Singapore at the Rio 2016 Olympics. His current research projects include injury surveillance and prevention in elite athletes.